If you are getting tired of roasted or boiled vegetables with dinner, try this light and refreshing winter salad. 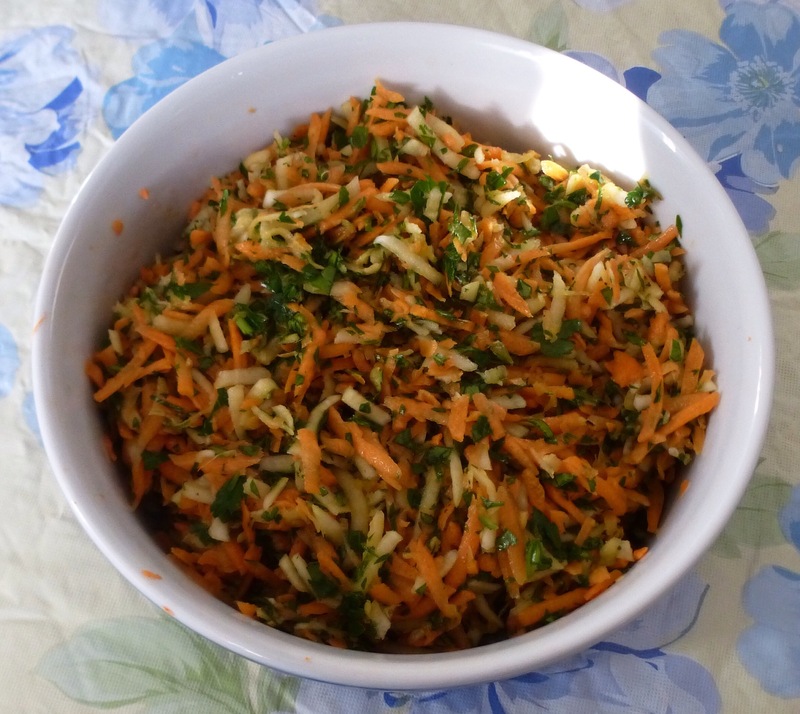 I love raw kohlrabi; it is a nice complement to the carrots and parsley. You can also add some fresh dill or mint. Grate carrots and kohlrabi in a food processor. Transfer to a large bowl. Add orange juice, oil, vinegar, sugar, salt and pepper to taste. Mix well. Add parsley and mix again. Chill 30 minutes before serving. Serves 6-8. This entry was posted in Salads, Vegetables, Vegetarian. Bookmark the permalink.